This semester has been a long and incredibly enriching experience for me. I originally signed up for this class, I intended to fulfill a general education requirement that also happened to fall in my concentration. Within a few days, though, I realized that I was enjoying the course because of the course’s unique approach to the material. Most classes approach material through lectures and readings of facts and dates, leaving the student with only a two-dimensional understanding of Islam. However, in this course we covered facts while also engaging material in tangible ways that left me with a fuller understanding of the nuances of the many different communities of interpretation in Islam. In fact, I learned more about Iranian culture from just a brief unit in this course about Islamic forms that originated in Iran than I did from an entire semester in a class purportedly about Iranian culture and society. I have not engaged with material in such a hands-on way since my senior year of high school, when in an effort to experience another culture I decided to observe Ramadan. Rather than just read about it and learn the associated rules, I found myself in the midst of a transformative experience where I learned more from having to consider many little things than from the actual discipline itself. I had thought originally that it involved simply not eating, but the entire mental experience is completely different; I was always thinking about food and how hungry I was, how to avoid feeling isolated from my peers, and realizing the incredible amount of discipline it took. I learned from that experience that being a Muslim in a majority non-Muslim country is can be a challenging experience. I found that fasting at mealtimes with my classmates often drew questions in an accusatory tone from some of my peers like “You’re a Muslim?” and ended up choosing to isolate myself to avoid some of the biases. One of the reasons for Ramadan is to remind one’s self what it is like to be poor and unable to eat through experiencing the same hunger. Reading that sentence and feeling the hunger itself are two very different experiences. Reconciling and respecting the different cultural contexts in which Islam is manifest while trying to experience aspects of it myself has since become a key lens through which I approach Islam. Over the course of this semester, much of my work has been inspired by the many different cultural contexts that have been influenced by Islam. My experience with Ramadan showed me that people respond to Islam differently in many different cultural contexts. From what I could tell on other students’ blogs, this was a common thought. I was especially moved by Margot’s hijab and Shaomin’s commitment to spending a week wearing various forms of hijab. It seemed like the three of us responded in a similar way, namely, that many Muslims in the West are “othered” because of inherent bias, and this is a critically shapes the Muslim experience, but also that we would not have gained those critical insights without having put ourselves in the shoes of a Muslim. My art this semester was influenced both by ability and by this theme of intercultural understanding of Islam. My first piece of the semester was an Aboriginal Australian dot painting representing the calligraphy for the word “Allah.” The project arose out of the fact that dot painting is the only style of painting that I feel I can produce beautiful work in, and because it was a way to think about how Islam might be interpreted had it expanded that far into Oceania. A critical theme this year was the way in which Islam spread across the world and in every locale adopted unique characteristics from that area and created a unique regional culture. 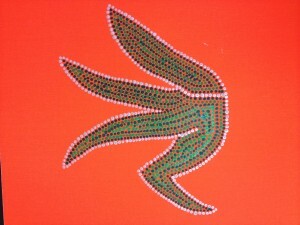 While Islam never spread to Australia, it is likely that dot painting might have been adopted both because of the Aboriginal aversion to depiction of humans but also because of the art form’s uniqueness. The piece was interesting to my friends, whose responses were divided along religious lines. Those who were Muslim, in the class, or could read the Arabic and Persian script immediately saw “Allah” in the context of a piece about life, while those who were not familiar with it saw a stylized paper crane. It was especially interesting because both groups came from completely opposite ends, but still saw the same representations in it despite interpreting the symbols through their own unique cultural lens. I did not intend for the artwork to have this effect, but it was a strong reminder of how universal artwork and certain ideas can be—a piece need not be defined as “Islamic,” “Christian,” “Western,” “Dutch” or anything else specific to appeal to a person’s sense of beauty and humanity. My first creative piece was perhaps the most disconnected from the rest. I was surprised that it ended up as my only piece of written work because of my love for creative writing and poetry, and is my only piece that I didn’t approach thinking about this issue of intercultural interface. Despite that, it ended up, like my other pieces, being a piece with an air of universality. Just as Rumi’s poems are revered across the West for being love poems, while in much of the Muslim world they are seen as devotional, this poem, while nowhere near the caliber of Rumi’s work, can be seen through both lenses. While my second piece can be seen as part of the progression of understanding Islam through multiple lenses, the inspiration was actually drawn more from the sense of misunderstanding than understanding. One of the biggest problems today is that people have an idea of Islam as a single cultural monolith; they see a representation of a religion instead of individual human beings. The piece serves as a commentary on the ways in which institutions like organizations of religion (such as the Saudi or Iranian government or a manipulative press) can interfere with understanding of the religion and its nuances. In that sense, the piece is a counterbalance to the other pieces by stating why we don’t necessarily see more efforts at cross-cultural understanding. My third and fourth pieces are in a sense the crown jewels of my collection. I knew immediately when I considered taking this class that I wanted to see if I could somehow incorporate my skating and my choreography into my responses, and when I had the chance after spring break, I spent a morning in the rink experimenting and playing around with music and the choreography. I would put the music on, reflect on the themes of the two readings I was trying to engage, then see how the ideas translated to movement. While initially as I began choreographing I thought to myself that these pieces were going to be so obtusely linked that it could be laughable, I found that the two lenses of the West and of Islam both merged to form a piece of choreography that has deep roots in both Western choreographic tradition and Islamic inspiration. The pieces were interesting because on their own, people saw them as interesting and moving, even without knowing the motivations behind the choreography. Just as in the real world of skating, often one won’t understand what is behind the choreography unless one sees an interview with a skater or hears it mentioned by television commentators. This was a continuation of this idea of pieces that can be seen from two different perspectives. Because the pieces were both performed to decidedly Christian pieces of music – one is based on a Russian Orthodox legend and the other is a funeral march – they also engage to a certain extent with the idea of interpreting some of the traditions through the lens of a different culture, this being a Christian or figure skating lens. More than any other pieces I did this semester, I feel as though these two, especially my taziyeh piece, ended up requiring the least amount of explication of anything I created this semester. Following the skating pieces I stepped back from creative reading responses and moved on to the mosque design project. I was especially proud to have come up with most of our mosque’s concept and design after our group agreed that it would be an interesting and unique challenge to build it in my home state of Alaska. This project was an especially interesting example of trying to meld together different traditions and locations, both between the US and Islam but also between a unique community of Muslims from many different backgrounds. It was a challenge to find a way to nod to the communities’ origins while still remaining respectful, and we were proud to also come up with a building that can be seen by Muslims as a safe space for prayer and contemplation, but also by non-Muslims as non-offensive, beautiful, and belonging in the landscape. I came up with the concept for my fifth creative project early on in the semester, but it wasn’t until I sat down in the Pfoho Art Room with all of my books that I came up with the concept of using the pennies and their level of tarnish to represent the physical and emotional journey of Michael Muhammad Knight both across the United States and through his beliefs in Islam. 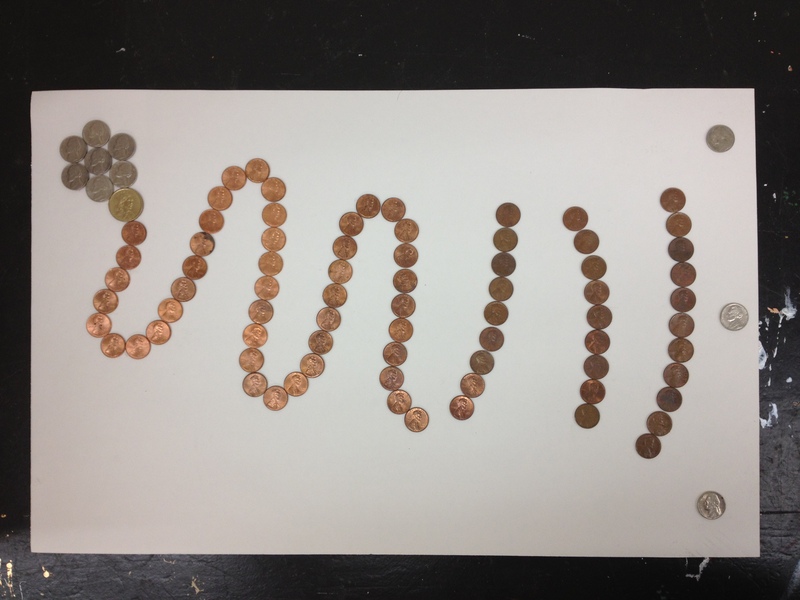 The piece is one of my more literal interpretations of showing the intersection of different cultures because of the use of American money to create the design, but I also intended for it to represent the different directions from which one approaches God. In the piece, the path followed spells out Allah, but as I represented it, the path goes from left to right instead of from right to left. 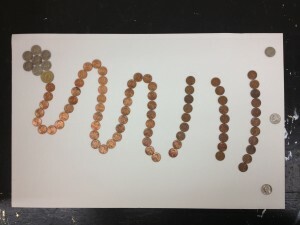 This piece, too, is one that would be approached differently by different people because of these two directions and because some might believe that the tarnish level of the pennies represents something other than his beliefs. As with any art, it is open to interpretation, and I am curious to hear from others what this piece says to them. The initial response from my peers has found it cryptic until they have read the explanation. My final piece was, to some degree, an attempt to come full circle on the class. 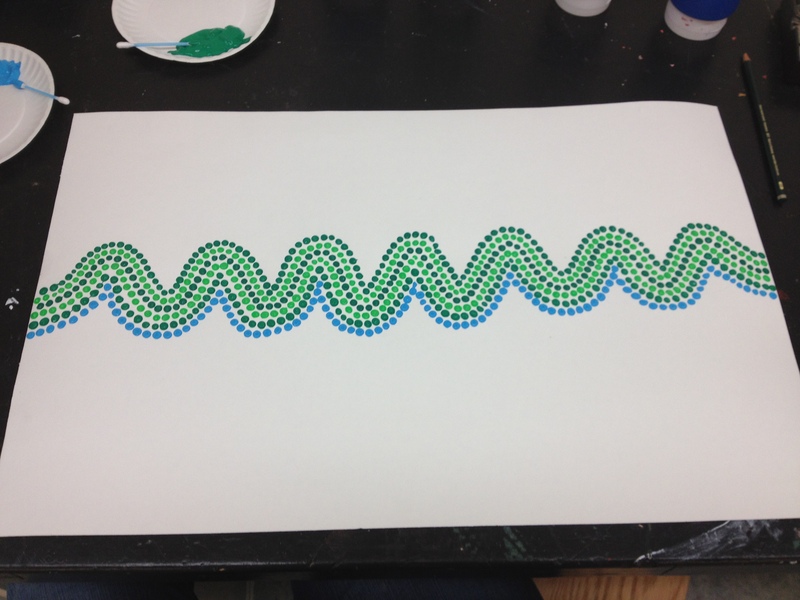 I had known all semester that I wanted to do another dot painting, but it wasn’t until the last week of class that the concept finally came to me. I thought of interpreting The Conference of the Birds without using birds, but instead using a path 30 dots wide that dips seven times over its length to represent the birds and the valleys of the story. As the most abstract of my interpretations, I doubt that most anyone from any context will recognize the inspiration, but they will be able to see the theme of a path that I also applied to my taziyeh skating piece and my coin piece. 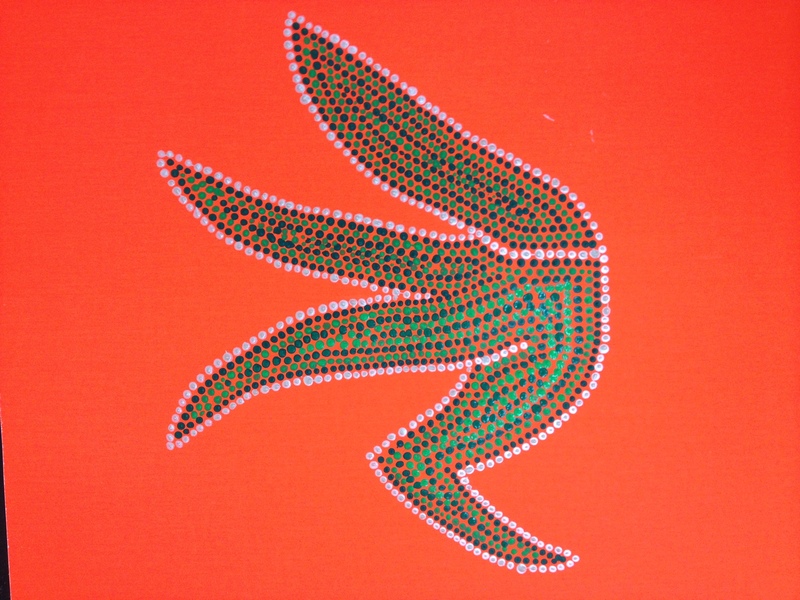 It also continues the intercultural theme that I began with the first dot painting, showing a Persian poem through the interpretation of an Australian. Like the coin piece, I am curious to hear what the general response to this piece is. While it is less ambitious than my calligraphy project in terms of size and scope, I still was very proud of the concept and the overall look; it is a piece that, while representing something Islamic, can be seen by anyone as beautiful. This class has been an enormous journey for me. I created more visual art for this class than I have created since the seventh grade, and it has pushed me to think about putting meaning into every detail. 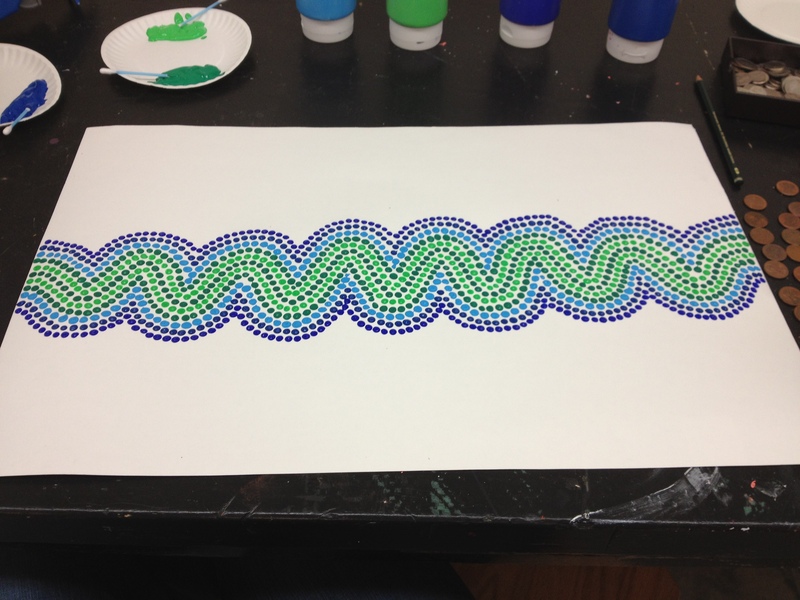 In the dot painting, the meaning literally went down to every single point on the page. Never before had I so engaged with the human side of Islam, the side that shapes the identity and lives of Muslims more than any other force. From music to recitation to poetry, the variety of ways that Muslims engage with their religions, their identities, and each other is truly amazing. It is my hope for the future that more people will choose to approach Islam from this side. As we experienced at the Metropolitan Museum of Art in New York, the experience of seeing the art and seeing the diversity of practice and belief across the Muslim world can truly change the thought processes of many who have misunderstood or misappropriated Islam. One rarely approaches the dominant American culture by studying sentences like “on Sundays, Christians go to Church.” People learn about these things by listening to music, by visiting churches and museums, and by interacting with other people. In the same vein, it would bode well for the world to understand who makes up the community of Muslims, and not what defines Islam as a religion. 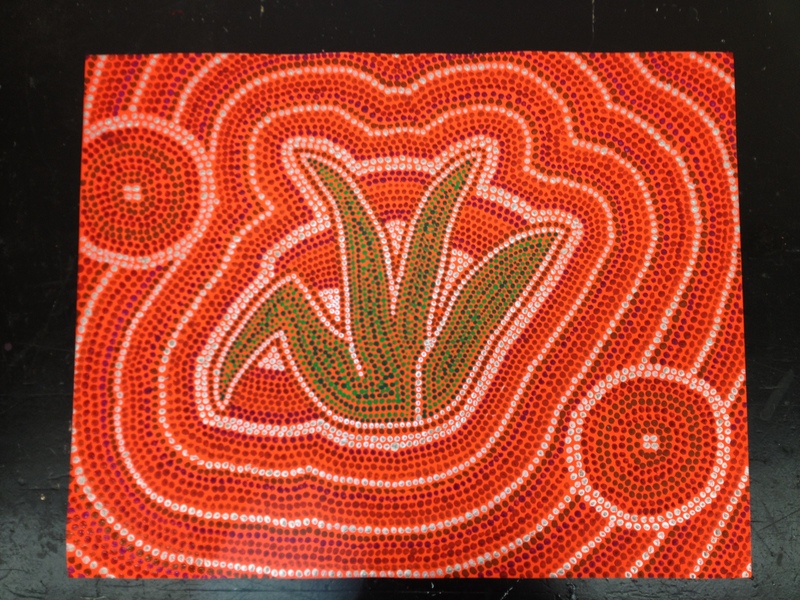 This piece was inspired from two directions; one was my desire to close my artwork for the course in the same way I opened it, namely with an Australian Aboriginal dot painting, and the other was to incorporate themes from “The Conference of the Birds” into a piece of artwork. The design of this piece consists of thirty rows of dots representing the thirty birds that complete the journey in the poem. The serpentine path contains seven valleys and six peaks, representative of the seven valleys that the birds must cross as a part of their quest to find the Simorgh. Rather than include all the colors throughout the design, I made the conscious choice to only use green in the very center. Green is the color of Islam, and one of the themes of “The Conference of the Birds” is the existence of a path to communion with God, which can be seen to be Islam in some contexts. By keeping a narrow green path in the middle, the piece signifies Islam as a path to be followed to reach a state of communion with God. 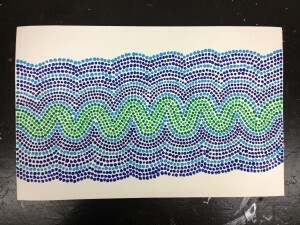 I decided to work only in rich blues and greens for this piece as opposed to the reds, oranges and browns of my previous dot painting both as a contrast to that piece but also to show a richness of color; blues and greens are lively and full of life, whereas browns and reds can feel harsh and barren. As explained in my calligraphy project, dot painting is a relevant medium for Islam because it can look random under a microscope but only achieves meaning and significance when viewed from a macro scale. In addition, the nuances of color can be lost depending on the angle. As in Islam, the piece must be viewed from many angles on many scales to be properly understood. Here are some shots of the piece in progress! When I was reading the Taziyeh we read a few weeks ago I was immediately struck by several aspects of its composition. Firstly, the sense of hopelessness that pervades the work was a major source of inspiration for me. The sense of struggle and the general theme of martyrdom that fills much Shi’a literature also stood out to me. Last week, I was listening to a new CD when I heard the piece of music seen in the video, and I immediately saw how the piece captured that sense of emotional outpouring and journey towards certain death. The piece of music is by one of my favorite composers, Michael Nyman, and is called “Memorial.” It was originally inspired to be a funeral march in honor of people killed in a stadium collapse in the mid 1980’s. The piece also borrows certain sonic elements from Purcell’s “King Arthur,” which furthers the sense of a struggle for the sake of God. In choreographing this piece, I drew considerable inspiration from the choreography of famed Russian coach Tatiana Tarasova, whose work captures perfectly the slow build to the passionate outcry of the ending. Just as the Taziyeh built over the course, I made an effort to start the program with smaller movements as the character comes to terms with his fate, then accepts it as he passionately struggles onwards. I used the march-like timing of the music to syncopate my steps and create the sensation of a long, drawn-out march towards a certain fate. I also used a traditional choreographic technique in older styles of ice dancing where I execute a choreographic sequence, then repeat it two more times in sequence. This was to help contribute both to the build and to the sense of struggle I was attempting to create. The piece was also physically challenging. Because the piece builds continuously, it is important as a choreographer to leave moments for breath so as to not become too tired. While the choreography I created was simple because I didn’t have much time to do it, to carry that speed for three and a half minutes is extremely tiring. Despite that, I managed to perform the piece on the first try satisfactorily. If I were to turn this into a performance piece, I would spend many weeks polishing it to a high standard of quality, but for such a quick work I’m very happy with the result. For this piece I adapted several pieces of choreography I had used in the past in an exercise to make a skating program where I explored the idea of a supernatural force dictating movements beyond my control, as if in a trace. My inspiration for this piece came out of the reading in Sells for week two, which discussed the effect that Qur’anic recitation can have on the listener. The sounds of it, be it the musical interpretations, the text itself, or other presentations, are known to move people both emotionally and physically. For instance, spontaneous shedding of tears is considered virtuous, since it is a sign that one has been moved by the text. I chose for this piece to use a piece of music called “The Protecting Veil” by John Tavener. It was inspired by a story of a Russian church that was protected by a fragment of the veil of Mary. The interpretation my choreographer and I were hoping to create was a sense of being moved by an invisible force, that I as the performer am experiencing the music moving me instead of me moving along with the music. It is a difficult concept to execute, and I didn’t quite manage it throughout the performance, but it is certainly there. The opening represents the beginning of the recitation, when the listener is opening his or her heart to the words of God. The spin at the beginning is a spin that I taught myself that I like because it appears as though I am opening my heart to the heavens. Through the next section, the music begins to dictate movements, syncopated and uplifting as I move across the ice. The entire effect of the piece should create an impression of movement and submission. The final spin is low to the ice looking upwards to represent both of those aspects. This piece is less physically demanding than my other one because it is shorter, however this is meant to be more of a concept piece experimenting with the choreographic idea that I pulled from the reading. As with the other piece, I would normally spend months perfecting this choreography before performing it. I took this photograph in early March 2012 when I was standing at the shuttle stop, and realized that the sun was being perfectly eclipsed by the tower of Memorial Hall. It stood out to me as both a striking image and also reminded me of many of the concepts we have touched upon as a part of this course. Because of both the religious connotations of the memorial and the building’s cathedral-esque appearance, I immediately thought of the syzygy that had formed between me, the individual, the establishment, and the blinding light that represents God. The Qur’an itself refers to God as a light, and some of our other readings indicated how the presence of God can be overwhelming, like the light when staring directly into the sun. The main reading it drew to mind was Daftary’s introduction of the concept of communities of interpretation, and specifically how they take a place between the individual and God in that they are the lens through which the individual sees God and the practice of Islam. While some have interpreted the idea of a lens as a translucent or opaque construction, I deliberately have used the steeple as an opaque representation of the institution interfering with the connection between the individual and God. 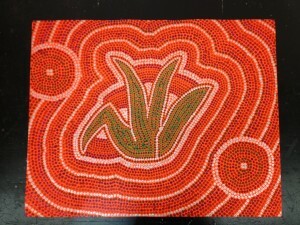 This represents several different aspects of material from Daftary and from the course. The first aspect represented is the disagreement between different communities of interpretation. Many of the different groups disagree with each other, and argue that some groups are not “true” Muslims and other things. For instance, Wahhabis would see the Alevis or Ahmadis as unable to see God. On the opposite end of the spectrum, many other communities would argue that the Wahhabis are unable to see God, as implied by the eclipse in my photograph. The other aspect represented is that of the different communities interfering with each other’s spiritual practices. This stood out to me especially during our lecture about Bosnia, when the Saudi-funded rebuilding of mosques resulted in all the traditional Bosnian ornamentation being removed. To the Bosnians, this was to some degree an eclipse of their traditional version of Islam, and was seen by some as an interference in their communion with God. In producing this photograph I chose to process the photograph to emphasize the difference between positive and negative space in the photograph. 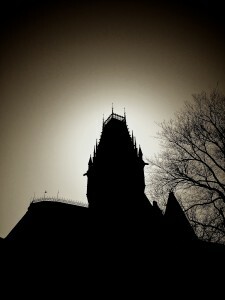 In the raw photo, the face of Memorial Hall was dimly lit, and details could be made out. I felt that the concept of an eclipse would be more strongly emphasized if I made the entire foreground black instead of allowing details beyond the outline. I chose to process it into sepia because it provided warmer colours and also created a second dark ring around the sun, emphasizing God’s position as a source of light and life. While not visible after the processing into sepia, in the original processing of the photograph there was also blemish in the lower left corner from a reflective window that created an imperfection in the solid blackness of the image, an imperfection to remind that to many Muslims, nothing man-made can be perfect. This is a response to the reading from Renard for Week 1. I was inspired primarily by Renard’s section discussing exegesis, or the procedural interpretation of the Qur’an. In the discussion, which begins on page 4, he explores how texts can be interpreted in many different ways, with both their surface meanings and their internal, allegorical, or other meanings. The Qur’an itself mentions that there are passages with both obvious and hidden meanings, some of which are only known to God. Out of this knowledge, different schools of Islamic thought have created different solutions to explain who has the skills needed to interpret the Qur’an and how that process should take place. Renard also highlights how a key reason for this allowance of reinterpretation was so that the religion could adapt to changing circumstances. In writing this poem, I was attempting to on one level, create a poem that could serve as a devotional poem describing the feelings of someone towards a beloved, much along the lines of the poetry of the Persian poet, Rumi. Rumi’s poems are on one level apparently love poems, but on another level can be seen as a form of devotional artwork, with God as the beloved. For instance, I consciously chose to use the word, “words” instead of “scripture” in the seventh line to add ambiguity of context to the piece rather than making the religious underpinnings obvious. Thus, the entire poem can be seen as describing the way that one can be overcome by love and devotion. Another key goal was to retain ambiguity in meaning so as to emphasize both the importance of interpretation in understanding the meaning, but also to emphasize how ambiguity can lead to wildly different interpretations of the verses. For instance, the reference to tears being brought on by God’s presence is a reference to the belief of many Muslims that they must weep during prayer. That line could just as easily be seen as a reference to a single person’s experience, or could be more widely interpreted through allegory that any involuntary response to God’s presence, such as crying or shouting, would be appropriate in that situation. I also experimented with translating this poem into French to explore the way that layers of veiled meaning can be lost, added, or transformed in translation, but the translation didn’t produce a poem that I was as satisfied with as the English version. That fact in and of itself can point to the importance of reading the Qur’an in its native Arabic. For this assignment, I initially took the concept of taking Islam and molding it to a local setting, and imagined how Aboriginal Australians might adapt the calligraphy into their traditional dot artwork and paintings. This medium seemed natural for a variety of reasons. Similar to the pointillist movement of Western art, dot painting consists of a level of detail that makes little sense when viewed close up, but becomes clear when seen as a part of the big picture. This idea resonates with me in that it is important to be able to approach Islam with both a big picture approach and an in-depth approach. In addition, dot paintings can completely overwhelm the senses, just as a communion with Allah can do. In the painting, I formed the characters from a plant. This was to symbolize Allah being a source of life, and the fact that it is the only life in the desert setting of the painting symbolizes how faith in Allah can sustain a person in the most unforgiving of circumstances. 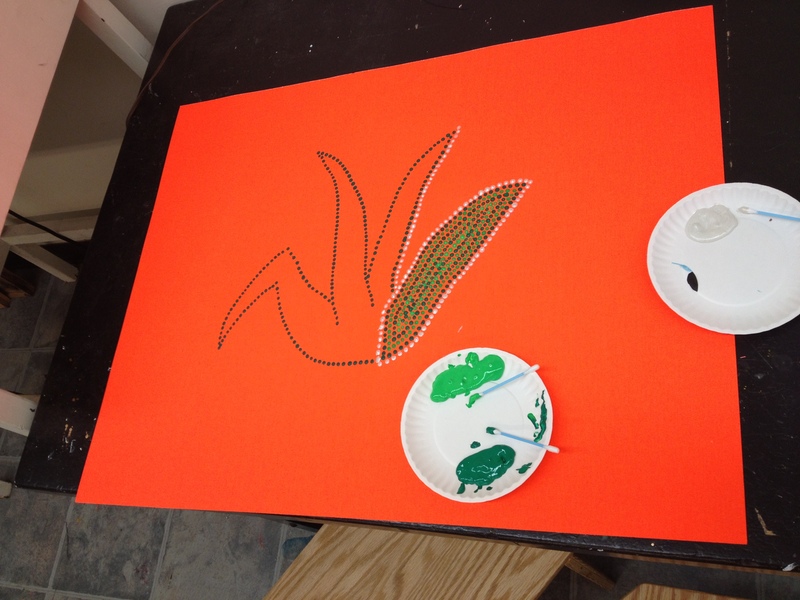 Partway through designing the painting I realized that I had also unintentionally made the plant appear similar to a paper crane, and I decided to keep that draft of the design to symbolize the peaceful roots and teachings of Islam. I chose to make the calligraphy green because green is the color of Islam, and I chose to use only warm colors in the rest of the painting to make the contrasting green appear even more vivid in comparison to the earth tones of the rest of the painting. The surroundings of the calligraphy are also significant. The waves radiating outwards represent the Qur’an, and the order of colors in the waves vary to represent the different ways in which the Qur’an is interpreted. Regardless of the interpretation, all the paths still lead to Allah. The two rocks represent Judaism and Christianity, the other two people of the book, which are also along the path to Allah. I also thought the rocks helped the symmetry of the painting. Finally, in the bottom left-hand corner, I deliberately crossed two of the colors mid-row to represent an imperfection in the painting. This refers to the tradition among many Muslim artists to leave small mistakes in their work because humans cannot be perfect, only Allah can. 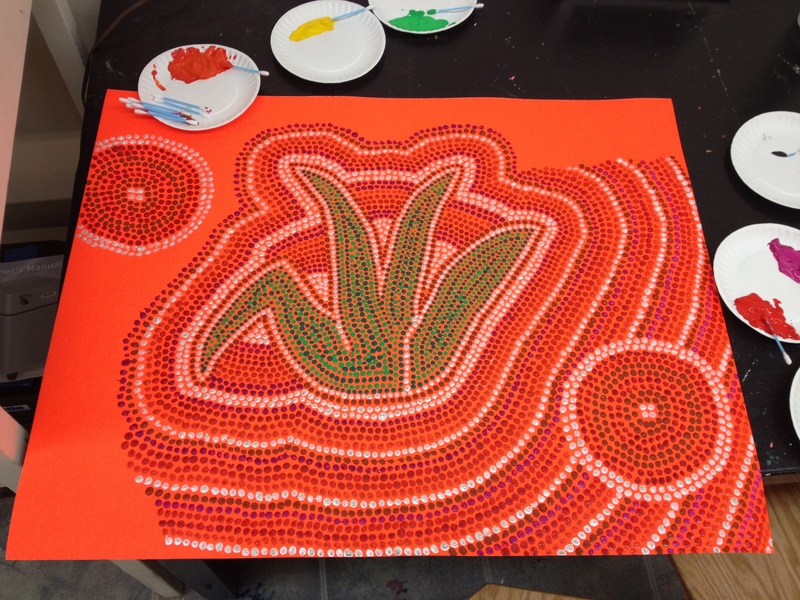 The title is a reference to the fact that many titles of dot art include “Dreaming” in reference to the Aboriginal tradition that inspires the art. Here are some images of the work in progress last night. 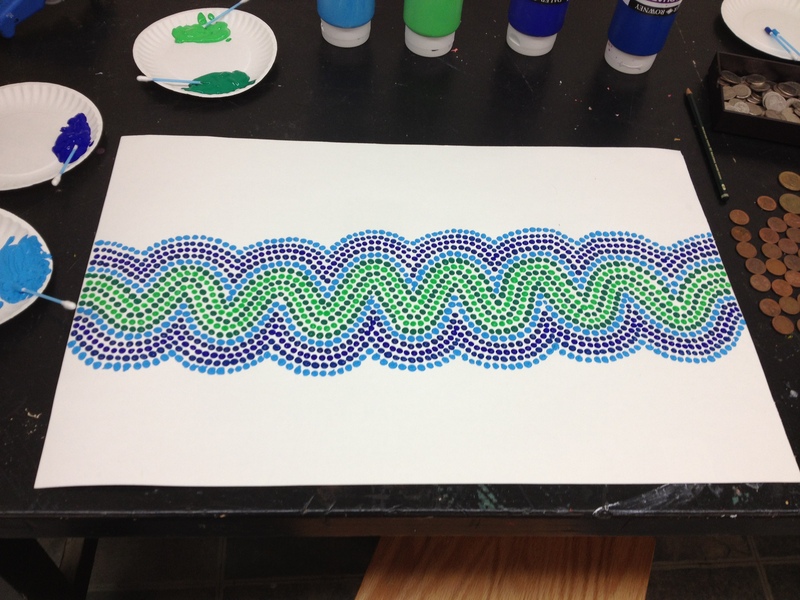 It took about two hours to get the calligraphy part, and about five more hours to finish the rest of the painting. This was with about two hours to go.